Richard Phelps' Lifestream: Muppets go! 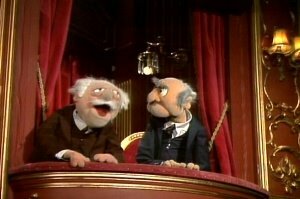 I just found out Statler and Waldorf are back on Go.com - brilliant stuff - and very much in line with how I remember them as a youngster. Always trying to crack a joke, nearly always in miserable failure. This context sees them not reviewing the Muppet Show segments, but new movie releases. 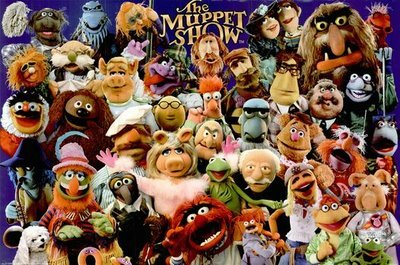 There are great little skits as well (with other muppets). It's truly a joy to see these old codgers still up to their old tricks. If you expect it to be too clever, you miss the whole point.